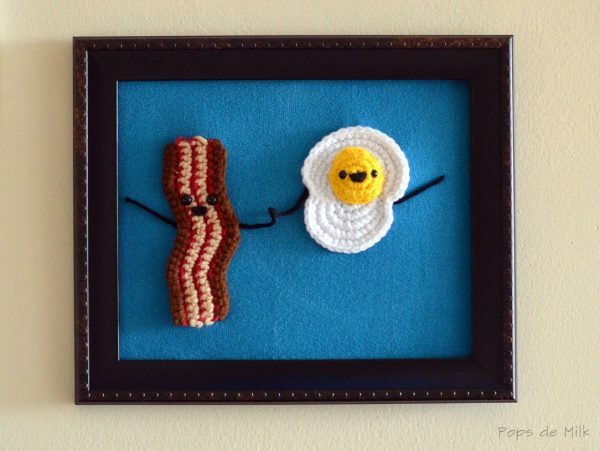 One of my favourite things to eat for breakfast are eggs and bacon. Could be from all those lazy Sunday mornings with my family and later with Jay, getting up to fry delicious bacon and practice the art of sunny side up eggs with the perfect yolky centre. Actually, if I could eat that everyday I probably would but because I care about my body I don’t. 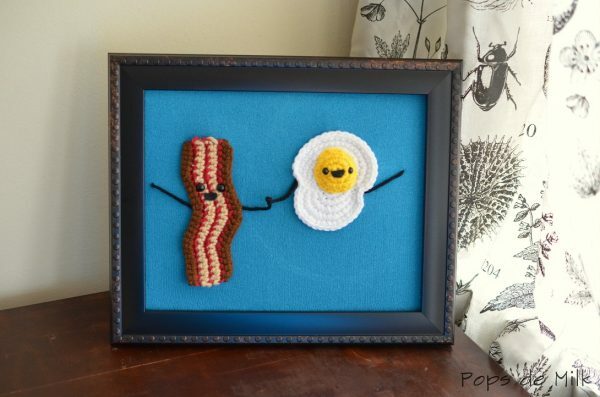 Still, the sight of a plate of eggs and bacon brings an instant smile to my face and I thought, wouldn’t my fave breakfast make for some fun and cheery art? 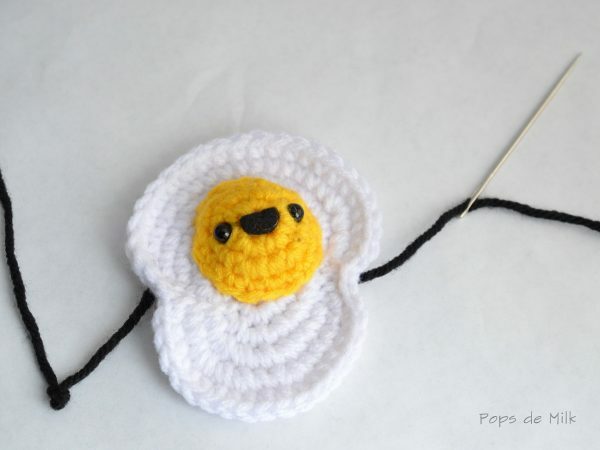 After figuring out the crochet pattern, this project didn’t take much time to make and it’s great for using up leftover yarn. I used an old sweater and a rectangular frame (8 x 11 inches) but you could also use canvas, an embroidery hoop, or shadow box to display your breakfast art. 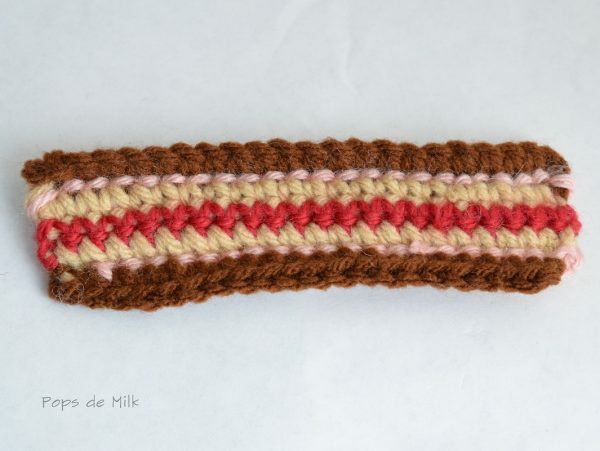 You can purchase the pattern in my shop. This is so clever and cute! I love their happy faces ^___^ Thank you for the pattern! Thanks 😀 they make me smile every morning!